To start with the review I have to say that I was really looking forward for Frostgrave. Maybe too much excited. 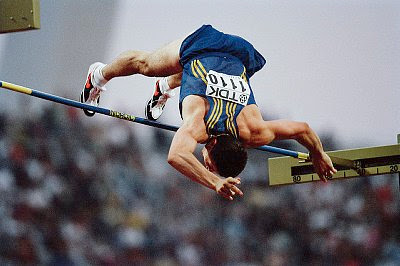 So I set up the bar of expectation to high or maybe it was Sergei Bubka who set up the bar. Nevertheless, the bar of stayed where it was placed and Frostgrave fulfils my expectations. I tried to write the review as much as objective as I can and to critic, as only constructive critique should move us forward. I was a little bit bewildered at the beginning because of the two things – the rules could be more explicit in wording and the d20 dice is used. I believe that the d20 will be very much discussed later on. I strongly recommend remove now, when there is a time, your d20 dices from deepest drawers and sunken corners. Begin to polish them and spoil them. You will love and hate them later on. Mostly hate them. Before I start, please note that this review is based upon „RULE AS THEY ARE WRITTEN“premise. Any assumption or employing of common sense is not part of the review. Mostly because of if you have too loose rules, then all rule-lawyers will start to inventing bullshits based upon twofold explanation. And all power-gamers will take advantage of them. Be cool gents and begin with the tour. D20 dice is awful dice to be used if you like to lean on result. You have flat chance of 5% to get any result. So the randomness of results are to high. Of course there will be discussions about house rules – 2d10 or 3d16, but I have to say that the game is designed for high rolls, and that’s the difference between dice in d20 RPG like Pathfinder or DnD where average results are requested. But the d20 in Frostgrave is cool, the setting is so various that fail means that you slip on the ice, or blizzard throw snowflakes to your eyes. That’s the difference between Infinity, where more tactical approach is requested and therefore more average rolls will be better. Randomness in d20 will be ok with you, until you roll three ones in three consecutive rolls to cast a spell (especially summon demon is quite joyful with roll 1) or if you cast only 8 spells from 40 attempts on 8 to 12+ (my greetings to Jiron). There are a lot of reviews describing what you find in book on web or magazines (WSS79 for example). But I don’t want to do that. I want to say what I miss in the book and how the actual gaming feels like. In one of the reviews the reviewer writes that the book writing is easy to understand and grasp. I disagree. It can be pretty clear for native speaker, but we others we see it differently. And then the issue of re-inventing what the author intended with the rules came. Simplicity in writing does not mean that the rules are easily grasped. Simplicity has to be followed by explicit writing. We have had problems mainly with action descriptions, multiple combat and inventory. I thing that those parts has to be retouched in second editions or in additional Frostgrave materials. It’s OK to have simple and funny rules for funny game. I like how some RPG treat description of actions. Frostgrave style should be a little bit misleading. You have two actions one of those MUST be Movement. You can move up to you movement value. But I want to stay on the spot! Wording of the multiple combat can lead to some discussion as well. You are receiving +2Fight for every model engaged in combat with same enemy not engaged in any other enemy. But do they both fight? Of course employing the common sense and understanding of the core mechanic will get for you an answer: yes you can stay on the spot not moving. Yes every model can do attack action in his activation receiving the +2 bonus (d20 RPG flanking by the way). We all know power games and rule lawyers. So the explicit writing is definitely beneficial. I can continue. Every intervening terrain between shooter and the target increase difficulty by one, except for the terrain in which shooter is in contact with (shooting from window for example). Every single one? Even molehill (it’s definitely a rough terrain; I undergo crucial ligaments surgery after hitting one)? What about sniper spot high on tower? Will be a well between shooter and target an intervening terrain? As per rules – yes. By the way the Line of Sight rules. The wording says that if any part of the target is visible you have LOS to target. Very vague. Measured from where? Probably from caster/shooter eye level. Are ribbons still part of the target? Shooting is really strong. Its duel between shooters Shoot value and targets Fight value, but this is only combat action where the attacker is safe. It has its limitations as you will most like not use your sniper to hunt for objectives but it has its advantage. Also a lot of spells are LOS. So use a huge amount of LOS blockers, rules recommend that on 2x2 table there has to be only few areas with 12 inches LOS range. By the way two handed sword, crossbow, easy-to-case Bode Dart are able to kill not even you henchman but wizard to in one hit. Moreover shooting is only rule in the game where you need to win the roll, which is inconsistent with attacks, casting rolls and saves where you need equal or greater. And it’s pity. What about bonus to rolls – are they applied before the roll, after the roll, before opponents roll or after opponents roll? I can use a lot of arguments for any option. Second huge inconsistency I have found is movement. If you are in rough terrain, or you climb, every inch or partial inch cost you 2inches of movements. If any wall has five and a half inch, you need to do movement 12, to climb on to the top. 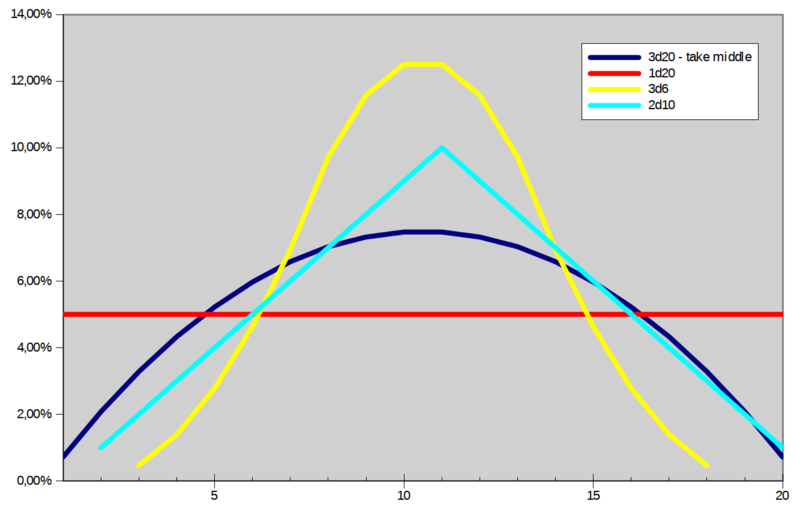 It does not matter if your base movement is 6 or 7; your movement in rough terrain is three. Also if you do movement and movement the result is same. With movement 6 or 7 you do movement three inches during first action and one inch during second action as well. Because according to rules it is not one full round move action, but two move actions, where second move action should be only half of the Movement value. I assume that both actions are evaluated separately just because group activations say that first movement action with all activated miniatures must be done, and then second action should be taken. Now running with treasure means that you are moving half your movement. It means 3 +1, 5 for both move action if your Movement value is 6 or move 3, 5+1,75inch for Movement value 7. Now you want to climb or go through rough terrain? Your movement is 1+1. I hope I don‘t understand the rules well, because this is really silly. Or at least prepare some table to understand it. By the way no rules forbid your dog to climb vertical wall ;-). If you survive the shock that d20 gives a new definition to randomness, the game goes well. Your wizard has stat line a little bit better than average henchman and is pretty noob caster. Your henchmen shines until your wizard develop his potential. With appropriate spell your caster should fulfil a lot of roles – melee damage dealer, range damage dealer, tank, controller or utility caster. There are two direct damage dealers; those are necromant and elementalist for sure with low casting number damage spell. As I mentioned before especially Bone Dart is low casting number high damage spell. The game itself is fast. We have tried 4x4 and 4x3 tables and it enlengthen the game so it took almost two hours. On 3x3 table I expect that the game takes about one hour. That’s again about need to roll high numbers on your dice. Thanks to mixed activations you are not waiting too long and you have to stay focused. Also all combat rolls request roll on both side and melee combat is dangerous for both combatants. The game expects that the player fulfil the role to support its creative intention – to have fun. You don’t like the rule – tweak it or make a player’s agreement. If I understand it well, people from the cradle of the wargaming call it “beer& pretzel“. We are world’s biggest beer consumer here in Czech Republic, so for us it’s „Beer&Beer“game more or less. Anyway, this game is much more suited for fun gaming, or narrative gaming then to competitive gaming. The game expects that both or more players will collaborate on the narrative concept of the game. Frostgrave wants from players to set up setting acceptable for both of them, setting they all enjoy. This is not just about players agreement on optional rules, scale, LOS, base but about game setting as a whole – so you can have Desertgrave, Steampunkgrave, Starwarsgrave, Gothicgrave, Sigmarsgrave… The style of writing is pretty well for fun games, but if you really agree on rules setup, the game could be pretty competitive as well. What is interesting in the rules is how it approaches game winning or losing. You are not rewarded for winning; you are rewarded for fulfilling your objectives. Of course you get extra experience for killing the other wizard, and if you annihilate the enemy you get all of the objectives. But at the end, you are not forced to kill single model in the game, and you are very well rewarded. In two standard games we came to status quo, where all of us were satisfied with objectives we have so far reached, so we decided to end the game. Unfortunately this came with the other side and it is – there is almost no WIN condition to reach. To be honest I am not sure what wizard should do on high level. There is rule for exaltation as the win for the campaign, but minor goals are not that interesting. In standard game there is no reason to do any risk and loose resources just to win 4 to 2. However this is twofold. Thanks for amazing scenarios and wandering monsters, this is the place where the game shines. As I like very much boasts from Lion Rampant, this mechanic could bring fantastic variability to Frostgrave, and as a house rule I will bring it later on – maybe ;-). Frostgrave is not only about the skirmishes. It’s mostly about your resources. How you build up your warband, and set up your camp. Unfortunately camp seems only as pre-order for actual base of operations. At least I hope, as it seems to me that camp is not offering same opportunities to all magi, but also on higher levels there is nothing to improve or set up on it. A little bit of Settlers instead of Dragon Age Inquisition set up will be fantastic. The campaign is the main goal here. As we did not have the opportunity to test the game on campaign mode for a longer time and high levels, we will go back on review of campaign mode later on. Again it’s about player’s approach, if your magi will cast leap, just because it is 8+ spell and you get experience for it … well that’s stupid. I can imagine huge table 20x20 for example with ruins of Felstadt, where several Magi camps are and they probe the ruins in one huge campaign game. Well if I have to decide about ranking, I will give the game 90%. 100% for gaming experience and 80% for rules. Main target of my review are inconsistent and loose description of some rules. I am afraid about motivation and opportunities on high level. I recommend for additional books to have rules examples in italics.